Diagnosis of diabetes took toll until Carolina met the right doctor at Gouverneur Health. Gouverneur's Department of Medicine offers adults over 18 a wide range of high quality primary and specialty medical services to ensure patient satisfaction and optimal health. We go beyond basic care to create a truly patient-centered environment by offering easy access to appointments, on-site laboratory testing and electronic medical record systems. In addition to our comprehensive medical services, Gouverneur offers several wellness programs that focus on healthy living and chronic disease management. These include asthma, diabetes, weight management, nutritional counseling and smoking cessation. Patients who participate in our wellness programs have access to special workshops and support groups that emphasize the connection between mind, body and health. We continue to develop innovative services that go beyond basic care in a patient-centered environment. The extensive suite of services available within Gouverneur's Department of Medicine provides patients with the continuity of care required to treat all their healthcare needs. Staff provides follow up care and referrals to specialists when necessary to treat or identify a condition. Gouverneur has served the Lower East Side and New Yorkers for over a century. Multiple generations of families have trusted us to provide excellent, compassionate care. The ability to understand each other is the foundation of patient-provider relationships. 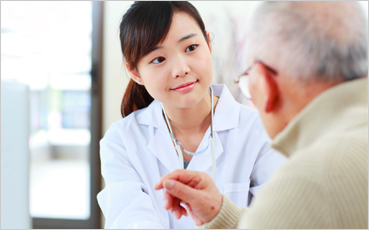 At Gouverneur, we understand the connection between providing quality care and communicating with patients in their own language. Many of our staff members are bilingual and interpretation services are available free of charge. We encourage patient feedback so we can provide the best possible service. The Department of Medicine is open Monday through Friday for regular appointments and is open every day of the year for sick visits. Our services are always confidential and easy to access.To schedule an appointment with our primary medicine department call 212-238-7897.